Note: unless otherwise indicated, page numbers cited are from my book. For copyright reasons I am unable to quote directly from the Wilberforce MS in the Bodleian Library, Oxford, but the quotations are to be found in the book, fully referenced. The Chancellor of the Exchequer, George Osborne is the latest Conservative to claim the credit of the abolition of the slave trade and slavery for his party. This is repeated so often than it is almost becoming an established ‘fact’. The reality is that the slave trade was abolished in 1807 by a coalition government, and slavery itself was abolished in 1833 by a Whig administration. Alongside this false claim goes the assumption that William Wilberforce was a Tory. I am going to suggest here that this is a problematic identification that risks misunderstanding both the man and the politics of his age. For most of the eighteenth century the Tory label had disreputable overtones because of its association with Stuart absolutism and treasonable Jacobitism, and as a result, by 1800, all but ‘a very few self-conscious Neanderthals…thought of themselves as Whigs’. (Boyd Hilton, A Mad, Bad, and Dangerous People? England 1783-1867, Oxford: Clarendon Press, 2006, p. 195). This was the position when Wilberforce entered parliament as member for Hull in 1780 and when he was elected MP for Yorkshire in 1784. As a young member, he was determined, as he later told his sons, to attach himself to no party, but to be independent. This meant that, though he was firmly opposed to the American War, he did not align himself with the radical opposition, who were already appropriating and redefining the name ‘Whig’. However, though he refused to adopt a party label, he was in practice, part of the set of ambitious young men that gathered round William Pitt the Younger, who became Prime Minister at the end of 1783, and in 1785 he broke off a holiday in order to return to Westminster to vote for Pitt’s modest (and unsuccessful) bill for parliamentary reform. Pitt has been retrospectively seen as a Tory, though he always thought of himself as a Whig: the point being that party labelling was fluid and imprecise in this period. With the coming of the French Revolution and Britain’s long war with France, we can retrospectively see the germs of a revitalised Tory party, though this was not always apparent to contemporaries. Wilberforce was initially shaky in his support for the war, and for a while seemed to be moving towards Charles James Fox’s Whig opposition, but by the end of 1795 he was firmly back in Pitt’s camp. To the disgust of some of his former political associates, he was instrumental in persuading his Yorkshire constituents to vote for the notorious Gagging Acts designed to curb radical agitation. But if this seems to show Wilberforce’s Toryism, other evidence might point in a different direction. For all his support for Pitt, the prime minister was in many ways a disappointment to him, especially over the question of the abolition of the slave trade, and it was only after Pitt’s death early in 1806 that a government could be formed with the determination to abolish it. 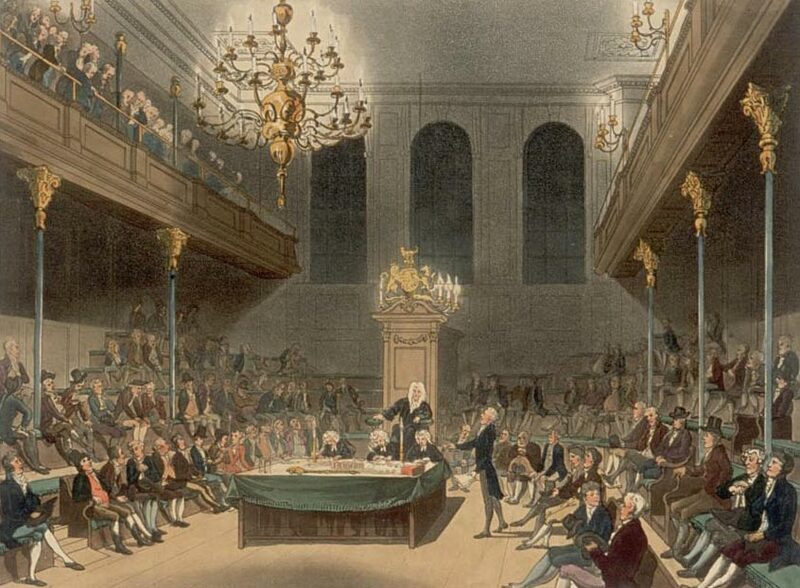 It was Lord Grenville’s ‘Ministry of all the Talents’, seen retrospectively as a Whig-dominated coalition, that secured the passage of the bill through parliament in the following year. The most vexed political question of the period was Catholic Emancipation – should Roman Catholics have the right to be members of parliament? This was an issue that crossed conventional divisions, but, on the whole, ‘Whigs’ were more in favour than ‘Tories’. In 1813 Wilberforce voted for the first time in support of the measure – a move that set him at odds with many conservatively minded evangelicals. Boyd Hilton (Mad, Bad, and Dangerous People? p. 196) has located 1827 as the year in which the term ‘Tory’ became common currency. By this time Wilberforce had been out of parliament for two years, though he continued to keep abreast of political developments. Hilton has pointed out that the term was used in opposition not to Whiggism but to ‘liberalism’, a word that was rapidly gaining currency. (It was derived from the Spanish reformers – the liberales – who had drawn up a constitution in Cadiz in 1812.) Something like the modern two-party system was emerging, though in a way that is often confusing for tidy-minded historians. Wilberforce’s friend, Zachary Macaulay was aware of this when in 1820 he he wrote to the Whig lawyer and future Lord Chancellor, Henry Brougham, about Hannah More. He added significantly, ‘I speak of Whigs and Tories as they now are’. In the 1820s political terminology was in a state of flux. Unlike Wilberforce, Hannah More represented the authentic voice of grass-roots Toryism. Much as she loved and admired him, she disagreed with him strongly on two major political issues, his vote for Catholic Emancipation and his unsuccessful attempt to reach a compromise in the Queen Caroline affair. She thought that the Christian Observer, the Evangelical house-journal, edited by Macaulay, and supported by Wilberforce was insufficiently Tory, being too hard on Lord Liverpool’s government. In 1830, an eventful year in Britain and Europe, Wilberforce positioned himself against what he saw as Tory excesses. In July Charles X of France – a rightful ruler, an anointed king – was forced to flee from the fury of the revolutionary crowd. 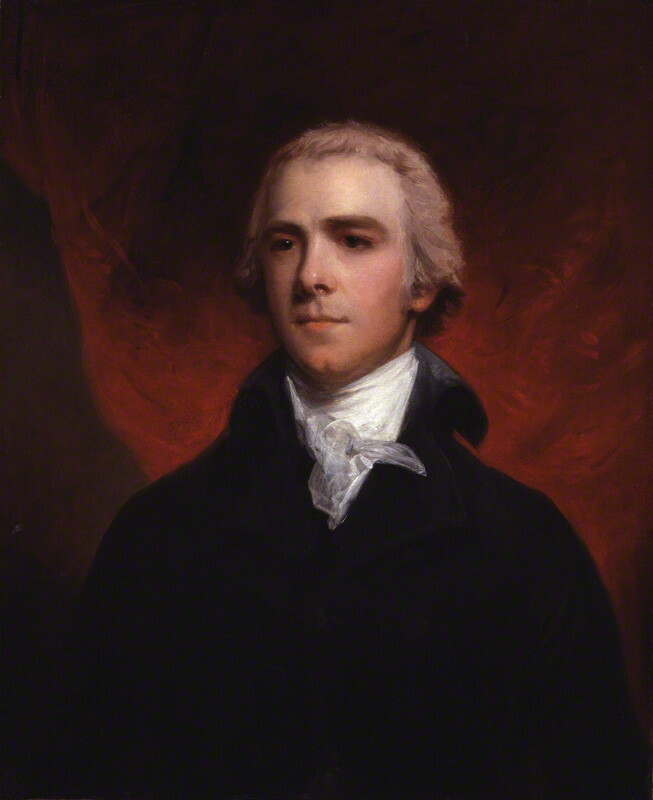 Many Tories, including Wilberforce’s sons, were horrified, but he was inclined to welcome the change. He was hopeful that the government of Louis-Philippe would abolish the slave trade. In Britain in November the duke of Wellington’s ministry fell over parliamentary reform, Within a month Wilberforce was declaring that Lord Grey’s Whig government was greatly superior to its predecessor (p. 246). In the following year, he paid a call on his old ally from the abolitionist days, Lord Grenville, and presumably the two old men reminisced about their past political associations. It would be wrong to make too much of this. In many ways, Wilberforce remained conservative – something that earned him the hostility of the radical, William Cobbett, and the great Marxist historian, E. P. Thompson. He supported the Six Acts, passed after the Peterloo Massacre. He was – to put it mildly – extremely dubious about the Reform Act of 1832 though he would never have expressed himself as his son Robert did when he hoped that the bill’s proponent, Lord John Russell, would be hanged (p. 246). For Wilberforce, the key point was that the Whig government was firmly committed to the ending of slavery in the British Empire, a measure that was achieved just before Wilberforce’s death. Neither the abolition of the slave trade nor the ending of slavery had been Tory measures. Conservative though he remained in many respects, Wilberforce knew that it was not the Tories who had ended the slave trade and the institution of slavery itself. In conclusion, there are a couple of points to be made. First, for most of Wilberforce’s lifetime the fluid state of politics makes party labelling especially difficult for historians. Secondly, it is anachronistic to assume that a political term relevant for one age carries the same meaning in our own. It is good to see present-day Conservatives looking to their party’s past in pursuit of a modern social reform agenda. But if they want to recruit Wilberforce to their cause, they will find him an unreliable ally. This entry was posted in William Wilberforce and tagged Catholic Emancipation, Clapham Sect, Hannah More, Henry Brougham, Liberals, Lord Grenville, Toryism, Whigs, William Wilberforce, Zachary Macaulay. Bookmark the permalink.